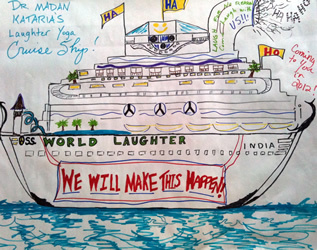 This entry was posted in Sebastien Gendry's Laughter Yoga Blog and tagged community groups, elderly citizens, endless energy, good doctor, kataria, laughter clubs, laughter yoga, law of attraction, running a business, strategic planning, world peace on June 16, 2011 by Sebastien Gendry. When I’m not involved with my Laughter Yoga work I instruct and help businesses with their Strategic Planning. I have been doing this since selling my last business back in 2002. I have a process that is a simple “beginning to end” way of running a business of any sort. So if Laughter Yoga were a business I would work it like this. 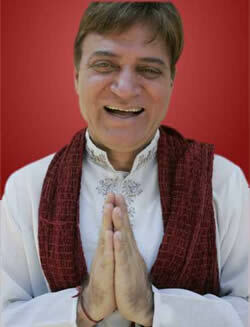 Dr Kataria’s Vision is World Peace through Laughter. So what’s yours? What are you hoping to do with Laughter Yoga? Are you going to run a club, do workshops, or run retreats. Who do you propose will benefit from this? Elderly citizens, children, businesses, or community groups. Where are you going to provide this? In your suburb, state, or country. And just as importantly why are you doing this. What’s the purpose? This then becomes your purpose. Done well a Vision will inspire you to inspire others and give you endless energy…just as it has for our own Good Doctor for over sixteen years. Our Values are our behavior. There’s an old Sales Saying that says people buy off people they like. That’s not quite right. People buy off people that they are like. In other words if you act like an idiot you’ll attract idiots. If you act like a caring soul you will attract caring souls. This is the Law of Attraction and works in business just as it does in life. I encourage to write down your Values and then live them. People will then articulate them to you in the following way. I love being around you because…(finish this sentence). Your Strategy is your Point of Difference. Without a doubt the Strategy of Laughter Yoga is our Laughter Clubs. This is what makes us attractive to others regardless of how bizarre they may first seem. Think of all of the media and publicity we receive worldwide. Very rarely is it about anything else except the Laughter Clubs. For this reason it is critical that we start more, and keep our Laughter Clubs going. Without these we will just become another happiness fad…and there’s plenty of them out there and growing by the day. Now it’s time for action. What is the small, medium, and big steps we need to do to make our Vision and Strategy a reality. Ask yourself if you need to involve others also. If you want to go fast then go alone but if you want to go far go with others. Doing it all by yourself can be risky and hard work and I’m adverse to both of those. Your plan is simply a piece of paper that contains all of the steps in a prioritized way. In other words what are the steps and when do they have to be done by. If you start to become overwhelmed by your plan, or that fact that it isn’t working as well as you would have liked, just extend the time beyond what you first expected. There’s an old business saying that says we overestimate the next twelve months and underestimate the next three years. You should be laughing as you work on your plan and not crying ! ! ! (ha ha ha). This entry was posted in Merv's Blog and tagged laughter club, laughter clubs, laughter yoga, strategic planning, world peace on June 5, 2011 by Sebastien Gendry. This entry was posted in Laughter News and tagged courage, laughter yoga, love, police academy, world peace, yoga session on May 19, 2011 by Sebastien Gendry. 1. Be a FUNdamentalist. Ensure that the FUN always comes before the MENTAL. Realize that life is a situation comedy that will never be canceled. A laugh track has been provided and the reason we are put in the material world is to get more material from that track. Have a good laugh twice a day, which will ensure regularity. This entry was posted in Laughter News and tagged bad news, course god, earth changes, heavy thoughts, key to the universe, laugh track, little peace, mental floss, planet peace, situation comedy, swami, toilet train, truth decay, world peace on September 13, 2007 by Sebastien Gendry.